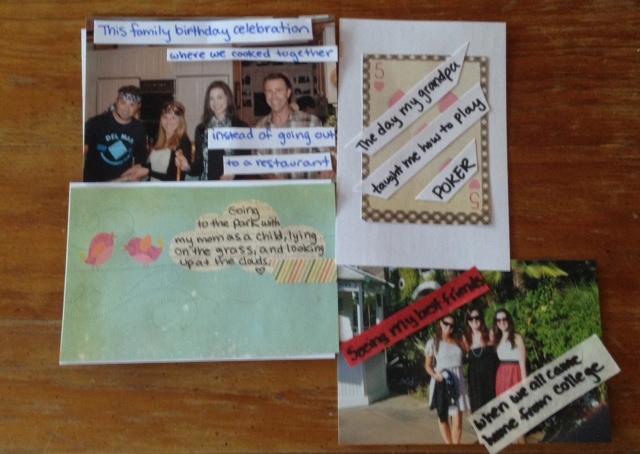 I want you to send me homemade postcards with one of your happiest memories. 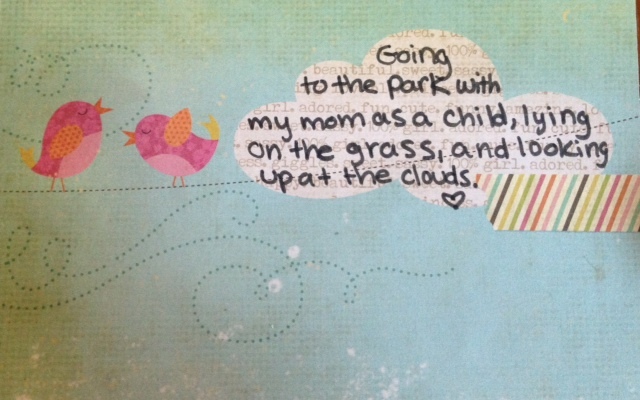 Similar to PostSecret (my inspiration for this project! ), you’ll send me a postcard to the mailing address below with an artistic representation (can be a photo, drawing, painting, etc.) and a sentence or two about your happy memory. The memory can be big or small – anything from a life-changing event to a realization you came to. We (hopefully) have thousands of happy memories, so feel free to send as many as you’d like. One Happster may send a postcard about seeing her child’s first steps, while another may send one about seeing a beautiful sunset. 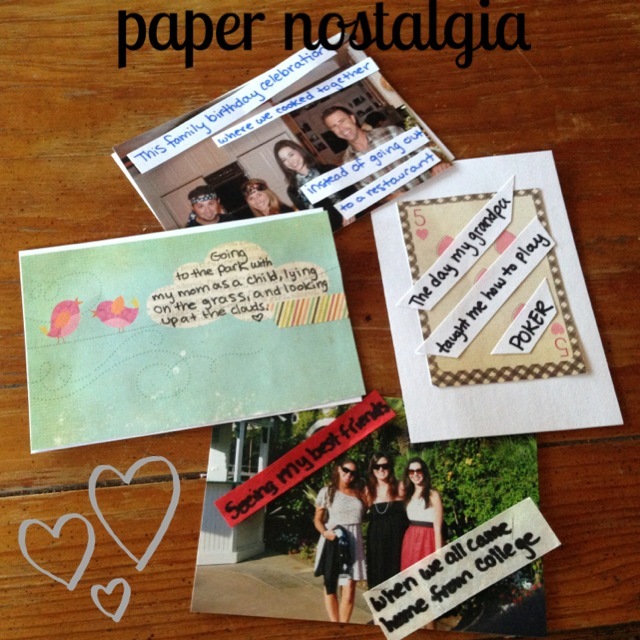 This is an on-going project called Paper Nostalgia and I will be posting these here for everyone to enjoy on an on-going basis. 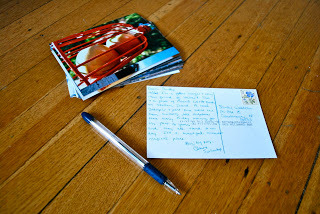 Please let me know on the other side of your homemade postcard if you don’t want me to include your name on the blog. 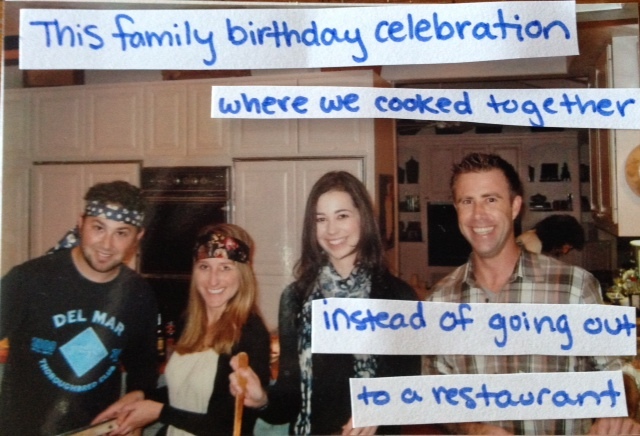 One of my happiest memories is…cooking with my family. One of my happiest memories is…watching the clouds go by. 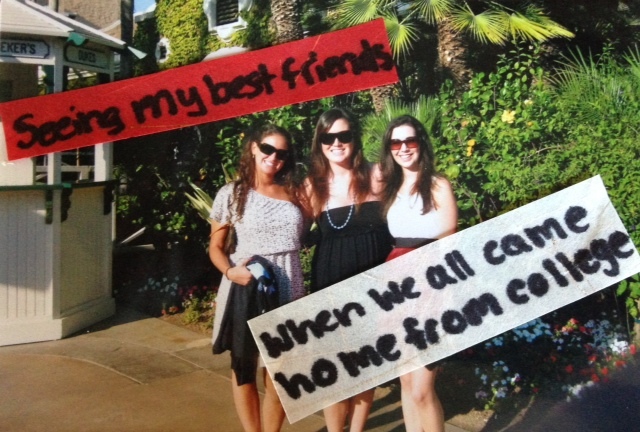 One of my happiest memories is…seeing my best friends after being away for months. 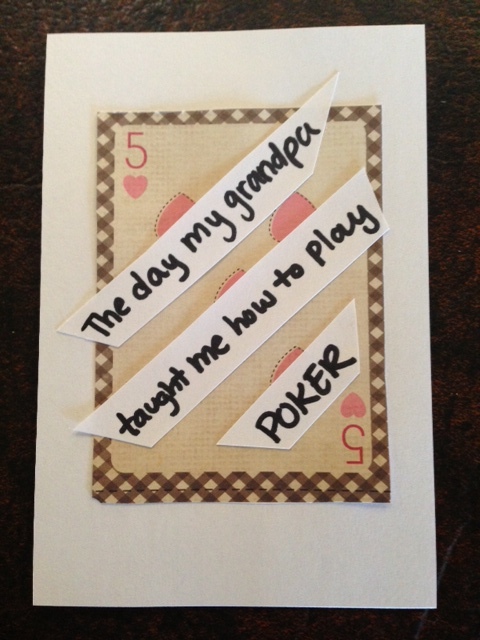 One of my happiest memories is…when my grandpa taught me how to play poker. I created all of these by gluing white 2 index cards together, gathering scrapbook paper and pictures and using a sharpie. You can put a stamp on the back and write in the address like you see below. I am SO excited to see your happy memories! Will you send me a postcard? Do you have questions? Let me know in the comments! By submitting information to The Happsters (www.happsters.com), you grant the Happsters a perpetual, royalty-free license to use, reproduce, modify, publish, distribute, and otherwise exercise all copyright and publicity rights with respect to that information at its sole discretion, including storing it on The Happsters servers and incorporating it in other works in any media now known or later developed including without limitation published books. If you do not wish to grant The Happsters these rights, it is suggested that you do not submit information to this website. 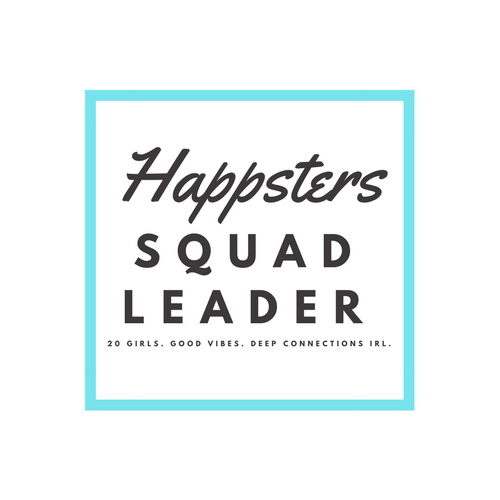 The Happsters reserves the right to select, edit and arrange submissions, and to remove information from The Happsters website at any time at its sole discretion. No image from this site may be used for any purpose without expressed written authorization, with one exception; you may post one image as a link to this site. Woohoo! Can’t wait to see! Yes, this is awesome!! 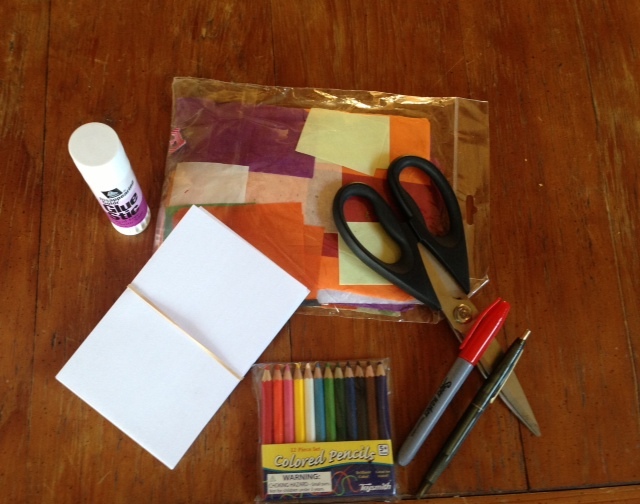 😀 What a great project idea! Thanks so much! Excited to see yours! lol…I must have time to do other things!